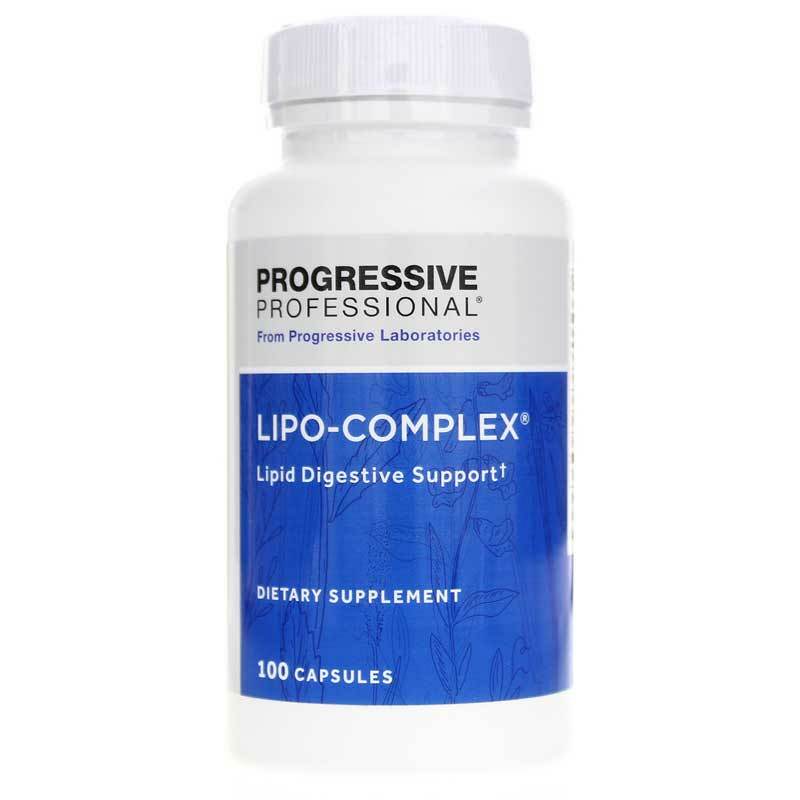 Lipo-Complex by Progressive Labs is an enzymatic digestive aid formulated primarily to support digestion of fats; however, the pepsin and pancreatic enzyme components also support digestion of proteins and carbohydrates. 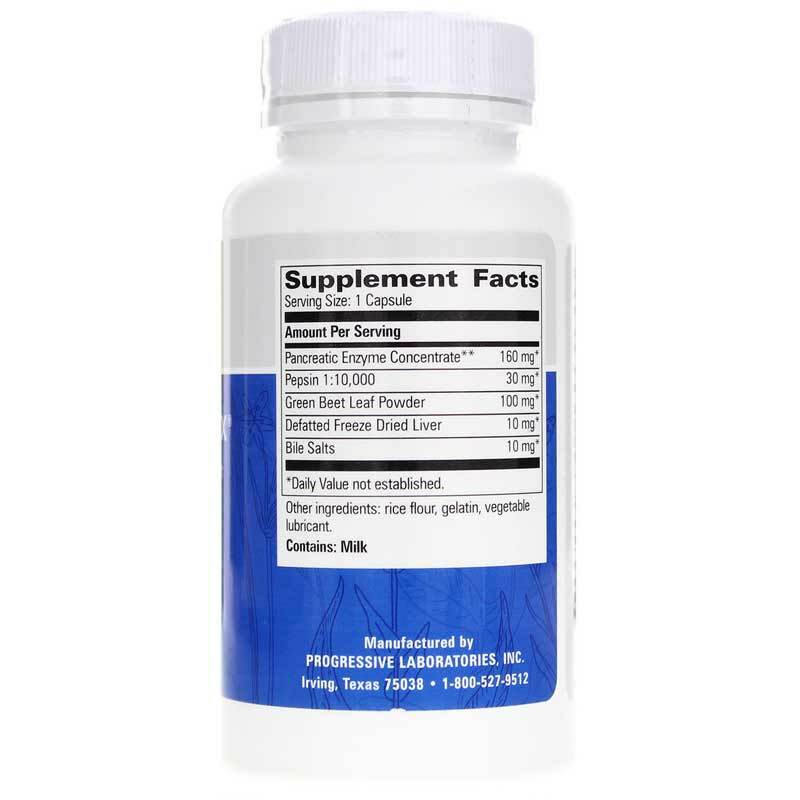 Raw liver is added to support liver function. 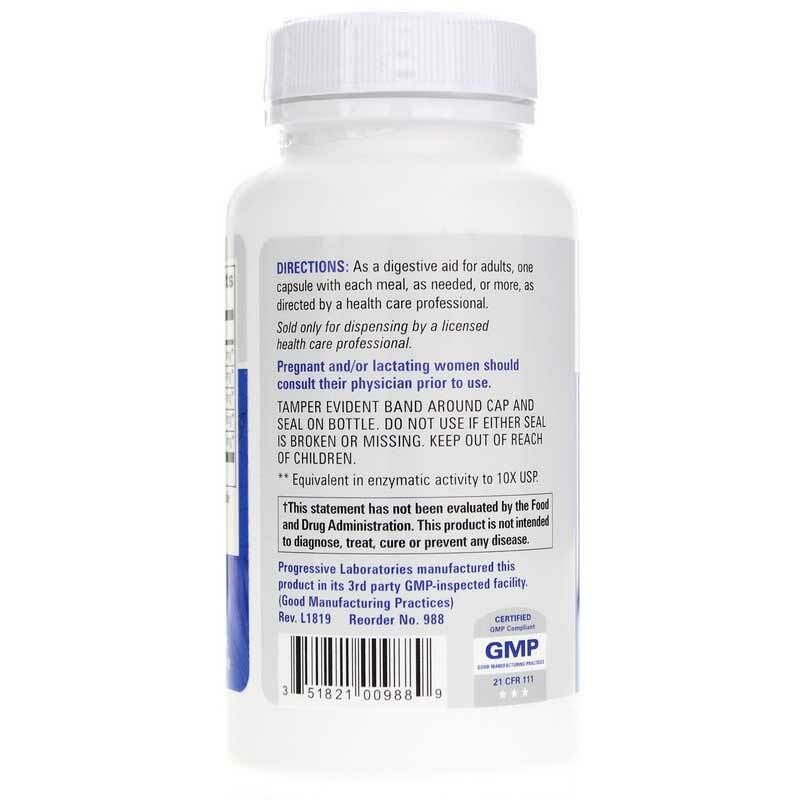 Adults: As a digestive aid for adults, one capsule with each meal, as needed, or as recommended by a healthcare professional. Wow is all I can say. I had my gallbladder removed 2 years ago. I had been SUFFERING the effects on my digestion until I tried Lipo-Complex. No more terrible gas pain or diarrhea! I will not eat a meal without this stuff!! I would give this more stars than 5 if I could.